马照跑， 舞照跳 This quote, originated in Hong Kong in the eighties. is associated with the smooth transition of the sovereignty of Hong Kong from the British to the China motherland. The literal translation of this quote is “horses continue to run and people continue to dance”, which figuratively means “Horse races will go on and night clubs will stay open”. 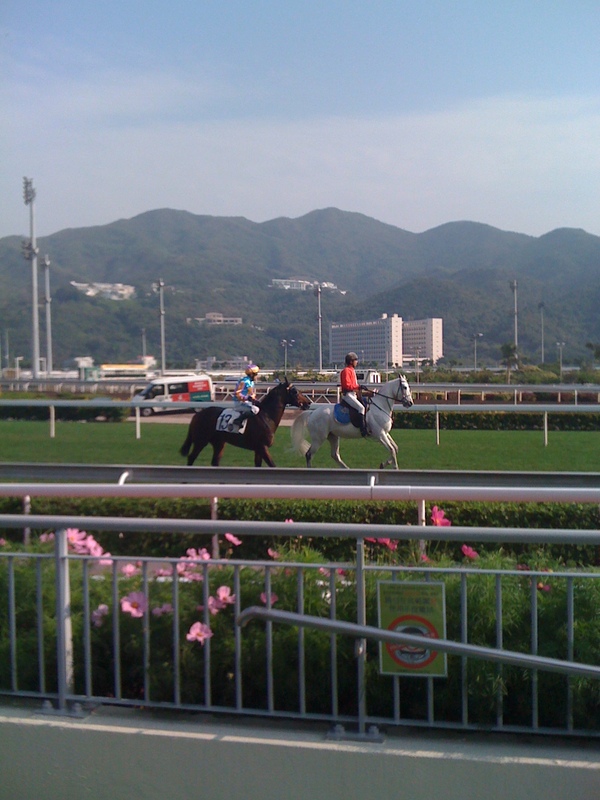 I went to the Shatin race course for a horse race yesterday. It reminded me of the said quote. Let me write about the background thereof. Hong Kong was ceded to Britain under an unequal treaty under the Qing Dynasty which gave Britain “the right” to rule Hong Kong until 1997. In the eighties, China made it known unequivocally to the British that China wanted Hong Kong back came 1997. Back then, Hong Kong people were concerned that the change of sovereignty would mean a loss of freedom or a loss of the capitalistic lifestyle, which Hong Kong got so used to. With hindsight, Hong Kong people’s worries were unwarranted as Mainland China seems more materialistic than Hong Kong nowadays At that time, in order to calm the fears of the local people, the then China chief negotiator, Zhou Nan, said this popular quote, which meant that the status quo of Hong Kong would be maintained notwithstanding the change of flags. Under the doctrine of communism, gambling and sexes associated with horse racing and night clubs respectively are totally unacceptable. However, those were and are part of the lifestyles of Hong Kong. By saying that quote, the Central government was essentially saying Hong Kong would maintain a system which is financially, legally and politically independent from the Mainland China, thanks to which Hong Kong continues to prosper. Below is an extract from the article entitled “Horse racing in Hong Kong….” written by Rory Boland at About.com, which aptly describes what horse racing is all about in Hong Kong. Horse racing in Hong Kong is a pivotal part not only of many people’s lives but the city’s economy, and horse racing in Hong Kong is followed far more passionately than anywhere else in the world. 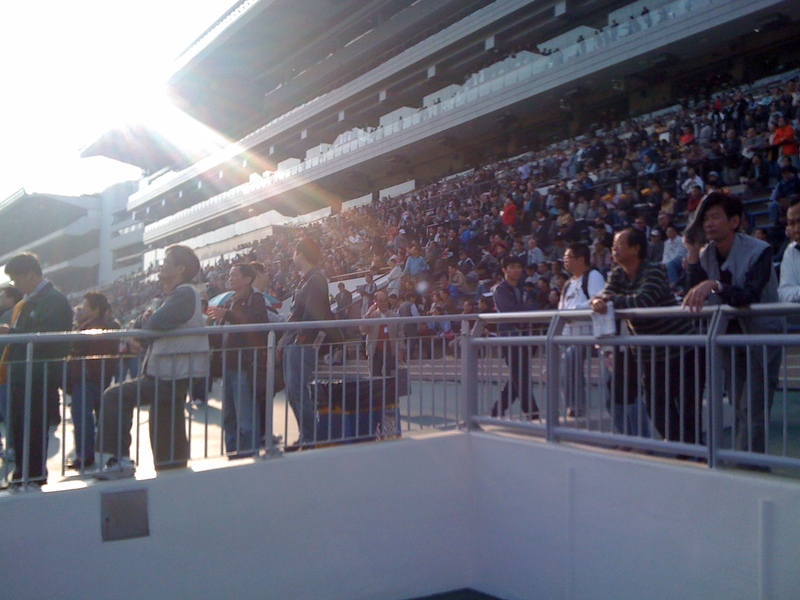 Racetracks, particularly Hong Kong’s Happy Valley, which offers flat races only, are regularly packed, boasting an electrifying atmosphere that is rarely replicated on other racetracks. Outside the stadium, locals pour over form guides and tipster rundowns. In all honesty, Hong Kong’s obsession with the horses is more an obsession with gambling,…….however with some of the world’s best tracks, world class race meets and a manic crowd, a visit to the track is a must. Those who are used to the refined atmosphere at English meets, or the sober surroundings on American tracks will find the roaring Hong Kong crowd and humble approach an exciting shock to the system and Happy Valley is simply one of the world’s greatest sporting spectacles. Aside from the gambling and the racing, Happy Valley is very much a social affair. Beer tents and make shift hot-dog stands keep 40,000 people fed and watered, and much of the racetrack turns into the city’s biggest al-fresco bar. The Hong Kong Jockey Club has a monopoly on racing and betting in the territory, a holdover from colonial days, and the HKJC is the territories largest taxpayer and charity. The organisations privileged status is thanks to the average six million plus bets placed on each meet, meaning a flutter for nearly every Hong Kong resident. 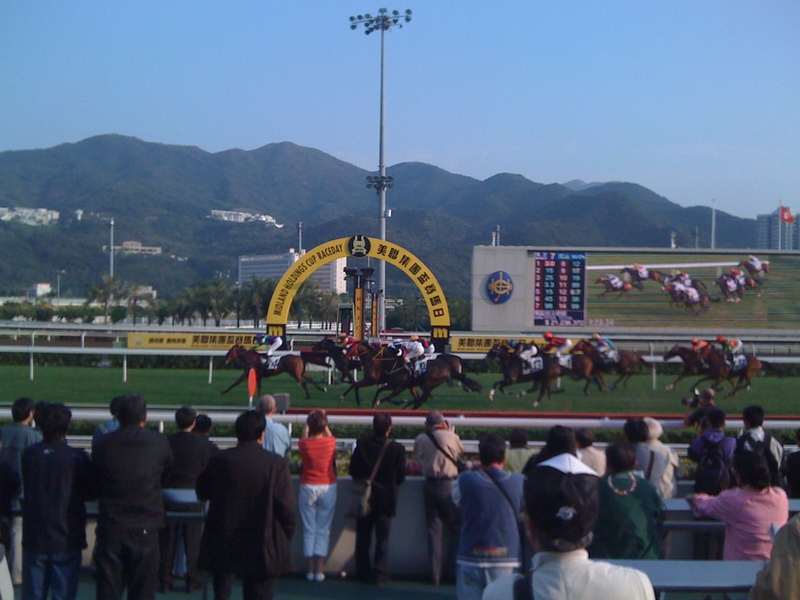 the Hong Kong Jockey Club receives in excess of U$10 billion in betting revenues (around 80% of the US combined take from 167 racecourses), and the totalised wagers staked on a single day’s meeting can quite often be more than an entire year’s betting on many European and American racetracks. Nevertheless, the HKJC does not make a profit, nor is it allowed to do so. Instead, the Jockey Club is Hong Kong’s largest contributor to tax revenue, and is the biggest single supporter of the city’s charitable causes. Indeed, at the end of the 2000 – 2001 racing season, the HKJC had given HK$1.06 billion in charitable donations to assist 180 charitable organisations and community projects.